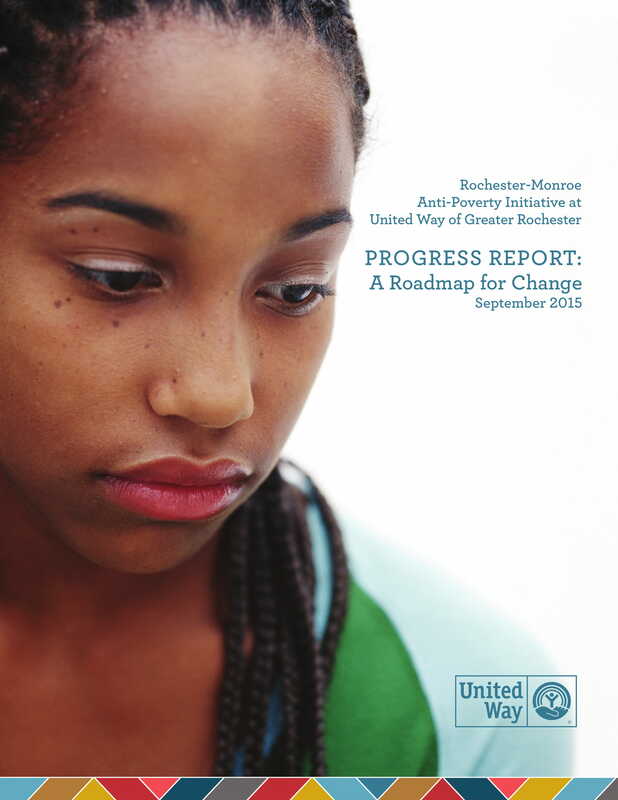 In 2016, ACT Rochester and Rochester Area Community Foundation released an update on the state of poverty and self-sufficiency across the nine-county Greater Rochester region. The report expands the present data on poverty, catalogues the growing community efforts to address it, and adds a perspective on the difference between poverty and self-sufficiency. Click on the cover to read the full report . The Rochester-Monroe Anti-Poverty Initiative (RMAPI) is an unprecedented community-wide effort to reduce poverty in the Rochester and Monroe County region by 50 percent over the next 15 years. This initiative involves the efforts and input of nearly 1,000 people in the region,including more than 200 volunteers on committees and workgroups, more than 800 community members who attended a town hall meeting or have participated in surveys, and most importantly, the people this initiative is intended to benefit - individuals impacted by poverty. In September 2015, the Initiative released "Progress Report: A Roadmap for Change". The City of Rochester, in partnership with the Rochester-Monroe Anti-Poverty Initiative, is focusing resources to address poverty within a targeted geographic city location, the Pathways to Prosperity District. In collaboration with the Flower City AmeriCorps, the Office of Innovation designed and implemented a door-to-door survey in order to build on previous public outreach efforts and better understand residents’ needs and concerns regarding neighborhood services and employment barriers. 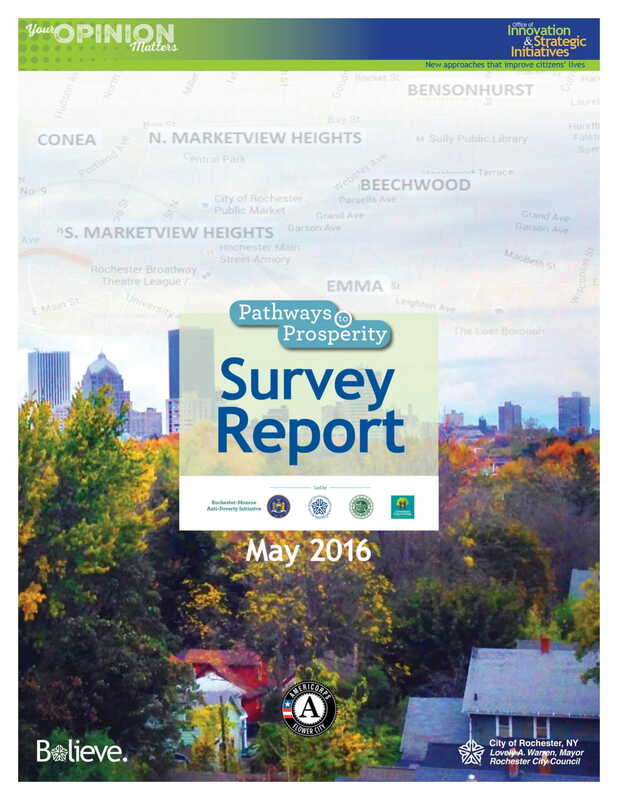 More than 400 people were interviewed for this survey, and the results are published in the Pathways to Prosperity Report. The results can also be reviewed through this Interactive Data Dashboard. 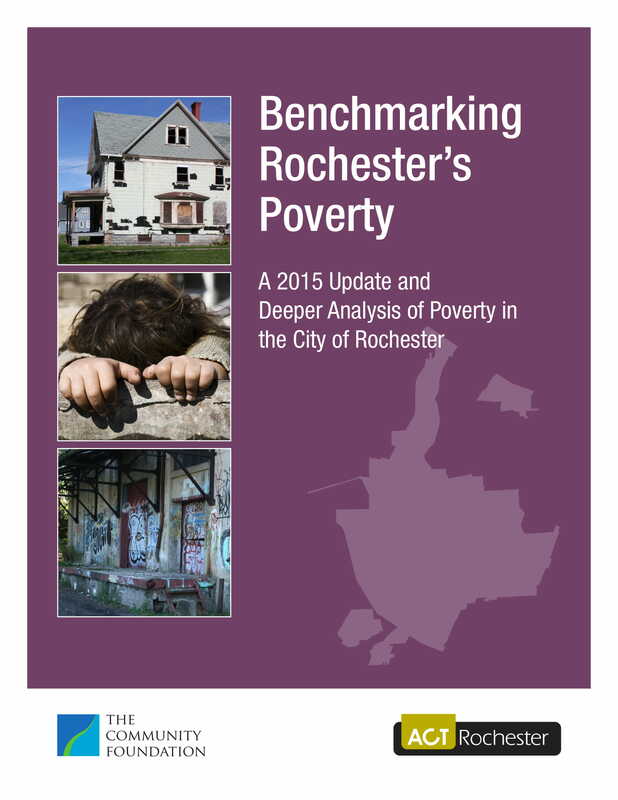 In January 2015 ACT Rochester and the Community Foundation released a report: Benchmarking Rochester's Poverty: A 2015 Update and Deeper Analysis of Poverty in the City of Rochester as a companion and update to the 2013 Special Report on Poverty. The report also compares poverty data based on gender and race, educational attainment, disability, employment, age, and family size and income. 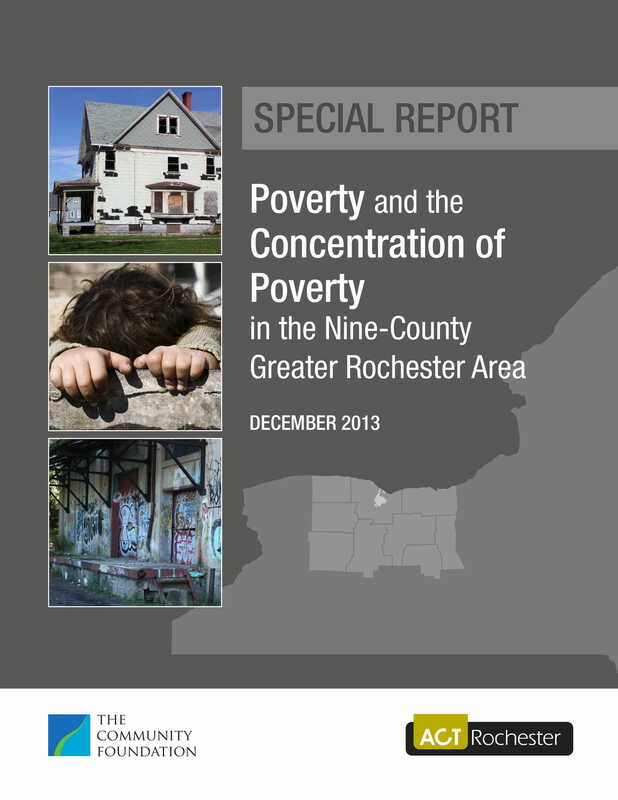 The concentration of Rochester's Poverty was highlighted in a Century Foundation study out of the Center for Urban Research and Urban Education at Rutgers University. A synopsis of the study is available here. The poorest school district in Upstate New York and the poorest urban district in the entire state. This simulation is a highly interactive experience that facilitates awareness of what a typical low-income family experiences in their attempt to survive from month-to-month. Each participant assumes the role of family member living in poverty for one month. The exercise runs for approximately 3 hours, and is coordinated and hosted by CCSI: Coordinated Care Services. Subscribe to our mailing list to receive notice of the next Poverty Simulation. Check out a video of CCSI's recent workshop!